Some people like to ‘wing it’ and can easily go with the flow. I’m not naturally one of them. I love lists, I love plans, I even like worksheets with all those nice neat blanks to fill in like a puzzle (I also like crosswords and sudoku). 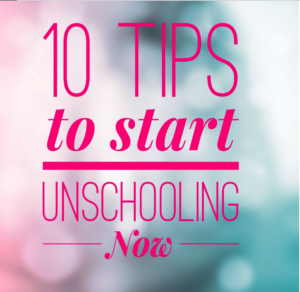 So how does a parent who loves lists and plans *unschool*? Aren’t planning and lists and schedules off limits for unschoolers? Well, yes…and no. Planning and scheduling people is not a good idea. 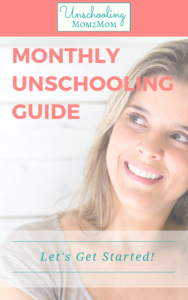 But using that ability to plan, schedule, make lists, keep track of stuff is very useful for unschoolers. In some circles, I’m known for my packing and planning spreadsheets – I seriously start a spreadsheet for an August vacation in January or February, as soon as I book the hotel. Once, when we decided to just go on a quick weekend away when J was an infant, nothing big. I didn’t make a list. We forgot diapers. Thankfully, there was a WalMart a couple miles from the hotel! What does a list-loving, plan-making person do? 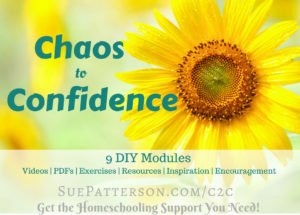 Make lists of activities, events, resources that may come in handy (soon or in the future). I’ve created mental and physical lists of contact people (friends, acquaintances, relatives) who are lab chemists (applied chemistry), sculptors, photographers, assorted engineering types, musicians of various types (vocal, instrumental), writers (fiction, non-fiction, technical, screenwriters), software developers, culinary folks, medical folks (people and animals), lawyers, and even an “Indian chief” (seriously, my cousin married a Native American). I also keep tabs on local theater (plays, concerts, movies, etc.) and TV programming (when does the new season of current-favorite-program start? for example). We’ve seen Arlo Guthrie in concert back when one of J’s favorite songs was “Alice’s Restaurant”. We’ve gone to semi-pro hockey games. We saw Spamalot on stage. 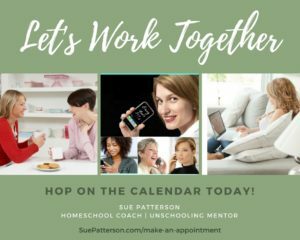 My job is to keep track of the ‘stuff’, the calendar, the possibilities. Maybe that will help people understand. 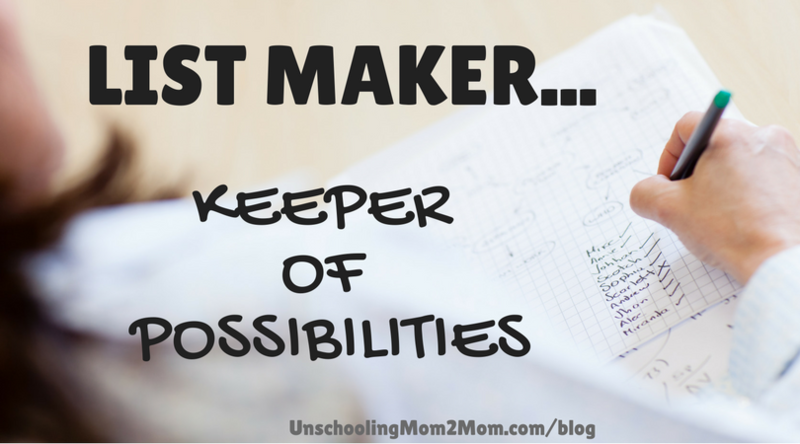 Instead of thinking of yourself as a listmaker, you are a Keeper of the Possibilities. Think about all the people you know and what they love. What they are passionate about? That way, when your kids ask about something you can say, “Let’s ask Aunt N. to show us how she quilts,” or “Let’s ask Mrs. L. about clipping dog toenails,” or “I don’t know what would happen if we mixed Barium + Cobalt + Nitrogen (Ba+Co+N)? We can ask Mr. C. – he’s a chemist!” … or whatever it might be that is of interest. Remember: you don’t have to know everything yourself, you just need to know how to find someone who knows. rather than organizing and arranging the people to fit particular subjects/regulations. 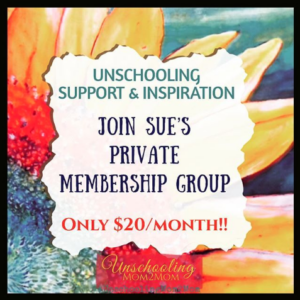 ← How Hard Will Unschooling Be For You?